Drowsy Driving - Safety Council of Palm Beach County, Inc. The brain is opportunistic and seizes micro sleeps! Call 561-845-8233 Ext, 12 for pricing. Member discounts apply. Two hour class offered at your location or ours. Drowsy Driving: All New Annual Training Class for your Employees! Drowsy driving and driver fatigue are proving to be the next big issue in the driving arena. Be proactive by offering this training now! The Safety Council of Palm Beach County, Inc. has developed an all new class designed to educate your employees and drivers on the importance of avoiding fatigued driving. 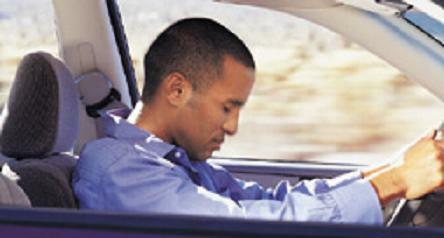 National Highway Traffic Safety Administration reports that over 80,000 drivers fall asleep at the wheel each day? The brain is an opportunistic sleeper and seizes sleep in 1-3 second intervals called microsleeps. The brain shuts down entirely and the driver is completely unaware. Most drivers ignore the warning signs, believing they can overcome their brain’s need for rest. Drowsy driving affects everyone. Shift workers, college students, tired parents, seniors and teens are all at risk- for many different reasons. Chances are you are surrounded by drowsy drivers at any time! Personal warning signs and what to do. Consequences of the choice to drive drowsy– vividly demonstrated with crash profile scenarios, group activities and interactive discussions.